Staffed by eleven medical providers and hundreds of caring staff, Myrtue Medical Center offers an extensive variety of health care services, including: inpatient and outpatient care, physical and occupational therapy, home health care, skilled nursing care, behavioral health, grief support, public health, homemaker services, hospice, obstetrics, diagnostic services, emergency care, and health education. Out-patient services are provided by visiting doctors who are specialists in over 20 medical fields. Myrtue Medical Center announced the largest construction project of its nearly 57-year history in April 2011. The two-and-half year plan includes relocating surgery, outpatient and lab as well as expanding radiology and updating the birthing center. Nearly $1.5 million in new advanced medical equipment and technology is part of this $15.8 million upgrade. 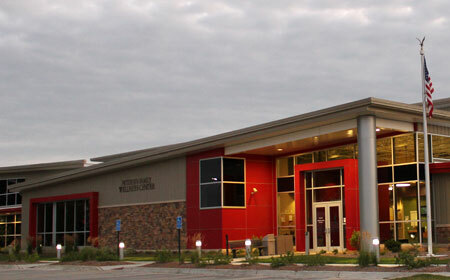 In 2010-11, the Medical Center relocated the Home and Public Health departments into new facilities, the fitness center was moved to the new Petersen Family Wellness Center, and the physical therapy department relocated to a new state-of-the-art site within the Petersen Family Wellness Center. Besides the medical complexes in Harlan, Myrtue Medical Center has satellite clinics in Avoca, Earling, Elk Horn and Shelby. Newly constructed in 2010, this facility houses a state-of-the-art physical therapy operation and a premium fitness center. The center has 4 lane swimming pool, zero depth entry pool, 2 water slides, resistance channel, spa, dry sauna, 3 lane indoor walking track, state of the art fitness equipment, racquetball, basketball, and group classes. It also provides a child care room and meeting rooms. It is truly a supreme wellness center for all ages and all stages of fitness. Elm Crest offers many options that cater to senior needs and lifestyles. services you want. Multiple dining options are available including meal tray service. You may consider avoiding the hassles of housework by taking advantage of housekeeping and laundry services. You can also decide on a snowy day to leave the driving to someone else and take advantage of Elm Crest’s transportation services. Assisted Living - Support is available for studio and one-bedroom apartments and includes two levels of care - medical and social. A comprehensive range of supportive services designed for whether you require assistance with one or several activities of daily living. Each apartment includes a kitchenette. Freshly prepared noon and evening meals are provided as a benefit of assisted living. Staff members are available 24 hours a day with an emergency call system. Weekly housekeeping and laundry services are provided. Health Care - Intermediate Care / ICF - This level consists of general nursing care needed to maintain the stability of residents with long-term illnesses or disabilities who may require support and or monitor on a 24 hour basis. Basic Health Care Services include; clean furnished room (private or semi-private), housekeeping and laundry services, personal care including bathing and incontinence care, therapeutic recreation and activities, transportation, resident evaluation, and care planning. Skilled Health Care / SNF Skilled health care is for residents who have been discharged from the hospital and no longer need the level of treatment provided in a hospital setting. They do, however, require medical attention and continuous support, observation, evaluation or rehabilitation before they return to their own home. Little Flower Haven provides extended-stay nursing care to seniors with varying levels of disabilities. 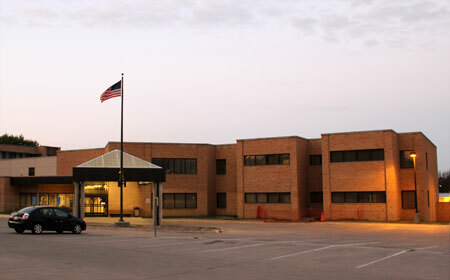 The facility received a 5 out of 5 overall rating from CMS of the Department of Health and Human Services on April 29, 2010. This score means that Little Flower Haven is rated much above average overall based on health inspections, nursing home staffing and quality measures. Little Flower Haven has 53 beds, are not part of a multiple nursing home ownership, and are a for-profit nursing home. Salem Lutheran Homes is a 156-bed group home where residents have the opportunity to socialize and be actively involved in programs which include individualized approaches to activities of daily living, tailored to each resident and balanced with monitored recreational and social events. Life enrichment activities include music, exercise, daily Chapel Services, Sunday Worship Services, bible study, hymn Sings, games, reminisce, inter-generational programs, outings, crafts, discussion groups, and a variety of special programs that are offered by many community groups who visit and provide entertainment. Salem Lutheran Homes has been an area leader in providing Medicare-approved skilled nursing services since 1989. Salem offers both long-term and short-term care. Short term care is for those who require rehabilitation following hospitalization. A variety of post surgical and individualized care programs are available including post-stroke, post total joint replacement, specialized skin and wound care, dysphasia (swallowing therapy) pain management, IV therapy, other therapy services and home evaluation. Long term care is for those who need round-the-clock assistance, medical attention or security. Our special care unit provides specialized care for those with Alzheimer's disease and other cognitive impairments. When a resident does not meet the criteria for skilled care they are admitted to the intermediate level of care.